Access to clean and safe public toilets is one of the major factors that affects women’s mobility but it is sadly not given enough attention. There aren’t enough public toilets available in the country and those that are available are in horrible conditions. Majority of public spaces do not have toilets at all and even when they do, there isn’t a separate one for women. For example, Faizabad, Swan and PirWadhai are three major bus stops and cater to around 1,000 passengers on a daily bases. Unfortunately, I was unable to find a separate toilet for women in any of them. In July 2010, the United Nations General Assembly (UNGA) adopted a groundbreaking resolution by recognising access to sanitation and use of excreta disposal and waste water facilities as a human right. This is indeed true; denying access to sanitation is denying basic human rights. In one of the reports by United Nations Regional Information Center (UNRIC), it is stated that 443 million school days are lost every year due to water and sanitation related issues in schools globally. Given the importance of this facility, Prime Minister Imran Khan has talked about clean and safe toilets under the clean and green Pakistan drive. This endorsement should have been appreciated by the masses; sadly, however, it was used to criticise the government’s misdirected priorities. This criticism only reflects our collective indifference to the importance of clean and safe toilets for all segments of society, especially for women, disabled people and transgender community. One should ask a young girl struggling in school during her menstrual cycle. From no running water to no sanitary kit, there is a myriad of problems. Moreover, there isn’t even a proper wastage system so that she can dispose off the used sanitary napkin ensuring that it isn’t hazardous to the environment or spreading germs around her. I have personally faced these dire circumstances while I was on the field or travelling by public transport. During the initial days of my career, I did not care or calculate the risk of unavailability of clean and safe public toilets. I would plan my travel and would even go during my menstrual cycles only to learn that I could not find a single, separate, hygienic toilet for women. 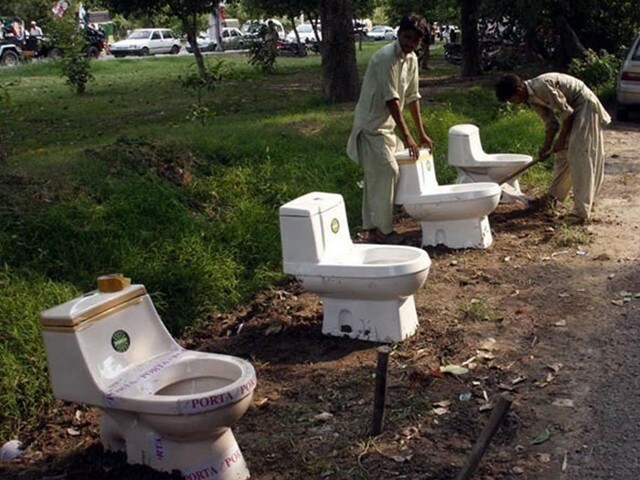 Forget about rural areas where openly defecating is still a common practice, I am talking about big cities like Lahore, Karachi, Multan and Islamabad that lack these basic facilities. Due to these issues, I was unable to change my sanitary napkin for more than eight hours which led to me developing a severe skin infection. I even suffered through a urine infection because I was unable to use the bathroom for more than eight hours. Now that I have had such horrid experiences, I do my homework before travelling and choose locations and dates carefully. This may sound like a good enough solution, however by doing this, I have limited myself to certain places and circumstances due to which my work has suffered. 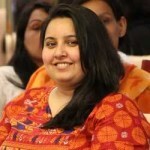 I once happened to visit the Ministry of Human Rights in Islamabad and had to use the toilet. There was only one relatively clean and safe toilet on that floor but it was locked and the keys were with the male head of that area. I asked a female colleague how they managed to work here all day and she told me that it is indeed a big challenge and they cannot even offer prayers since there is poor sanitation and lack of separate toilets and ablution areas for women. Ironically, this is the Ministry of Human Rights, depriving their workers of their rights. Unfortunately, this lack of sanitation isn’t limited to public offices, bus and railway stations, as even hospitals have deplorable toilet facilities. You should rethink going to the bathroom in any public hospital in Islamabad. Chances are you would either go home with more diseases or the foul smell would kill you there and then. Sadly, our sanitation problems stem from our behaviours as citizens. There are so many people in this country who lack basic ethics on how to use a public facility. Many women just throw their used sanitary napkins and children’s diapers on the toilet floor, used paper towels are randomly tossed on the floor as well, there are people who forget to flush the toilet after they are done, and many leave the floor wet which is disgusting and highly unhygienic. Even at the hand washing station, I have observed people throwing water all around the counter that makes it difficult for other users; some even clear their nostrils and do not wash the sink. Toilets for men are equally terrible and in one of the places I visited, I was informed that one small toilet is used by 45-50 men and they do not have clean running water. Considering the circumstances, there is a huge potential for private sector to invest in sanitation. There are many recognised brands that manufacture sanitary products and can provide sanitary products across the country under their corporate social responsibility. Similarly, the real estate and private builders can offer their assistance to the government to build low cost, clean and safe public toilets nationwide. The government should ensure that they install safe locks to public toilet doors as well. More importantly, there needs to be awareness campaigns, educating masses on water management, sanitation and hygiene because unless we change our behaviour, all of these improvements will go in vain. Apart from the basic facilities, women should also be given access to a free helpline in the bathroom so that they can report any kind of harassment or bullying immediately. There also needs to be proper facilities for the transgender community since they face harassment in men’s toilets and aren’t allowed to go into women’s toilets. Unisex bathrooms are a solution but given the security situation in the country, it is likely that there can be some cases of harassment and bullying. Perhaps, there can be an attendant that looks over and ensures safety. With November 19th coming up, which is regarded as World Toilet Day, people have realised the importance of having access to clean and safe toilets. However, there are many countries that are still struggling in this regard. Our neighbour India, even though a strong economic force, suffers from lack of public toilets and the increase in open defecation. According to UN, universal access to adequate and equitable sanitation and the end of open defecation by 2030 is goal number six in creating a better world. This only shows the importance of having a clean environment which the citizens of this country keep on shrugging off. In a country that prides itself of being Islamic, we have failed to follow through on the importance of cleanliness and good hygiene in our religion. It is time Pakistan provides its citizens with the facilities they deserve.